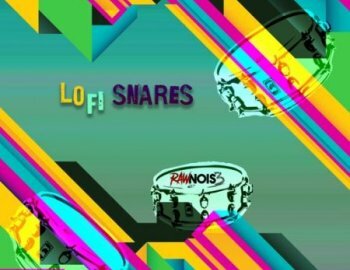 The RawNois3 Sound Design Team presents LoFi Snares. This royalty free pack consists of 38 one-shot live snare hits sauced in a LoFi texture. All of the live snare hits were recorded in-house from the Ludwig Breakbeats by Questlove drum set. In this pack, you will find both traditional and new age snare hits with plenty of headroom for you to add your own flavor.